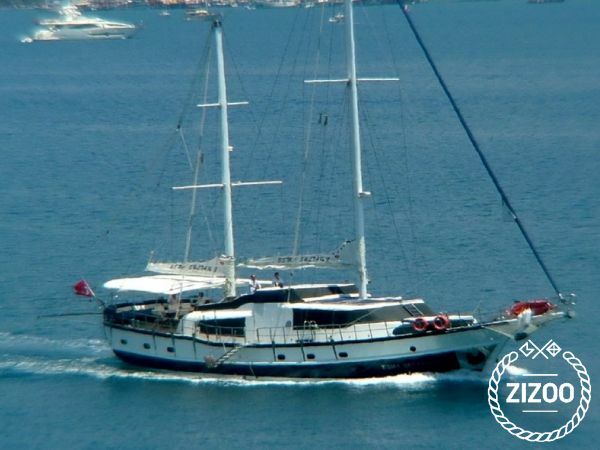 Esma Sultan 2 Gulet Yacht. 24 hours Air Conditioning available. 2 Master , 1 Double , 1 Twin cabins 24-meter long deluxe yacht, designed for your Blue Cruise. It has 2 masters, 1 double and 1 twin cabins. This yacht, has 4 crew with high expectations of there guests. Esma Sultan 2 Yacht, aims to make a unforgettable holiday for you. There is also a living area on the 3rd floor, called the flybridge, apart from the living area where the back table and the front areas are. Esma Sultan 2 Yacht.